Hope everyone is enjoying their summer! I'm busy over here in denial that I have to go back in 3 weeks. Eek! Let me start this post with saying how much I LOVE teaching kiddos with special needs. However, working on the same skill for months can sometimes get a little boring, right? Wrong. Well, it can get boring if you're doing the SAME thing day after day. If you're doing that, it's time to start mixing it up! If you're bored of teaching coin identification, I can guarantee that your kiddos are even MORE burned out. And what does boredom lead to? Behaviors. Let's talk about some of my favorite ways to mix it up and keep things fresh. Do I even need to elaborate? I know I'm not the only one in love with these dollar spot erasers. Each month they have some new and adorable sets to work with! 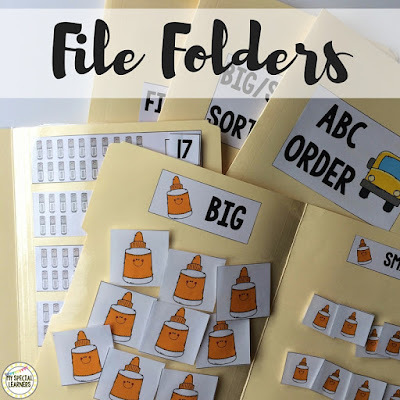 I love to use these for counting, patterns, and sorting tasks. 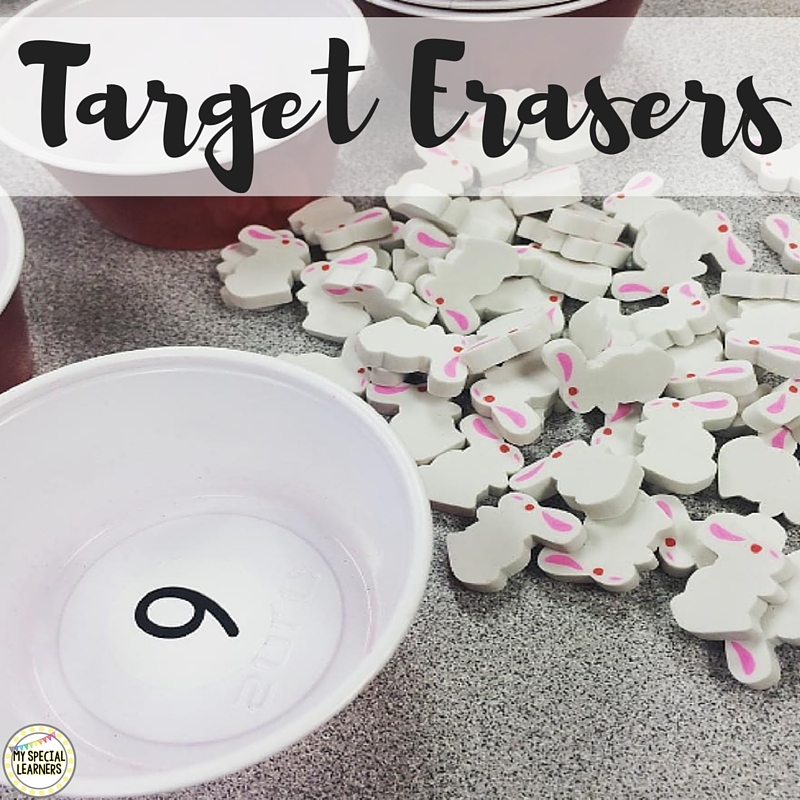 My students love using the new erasers each month! 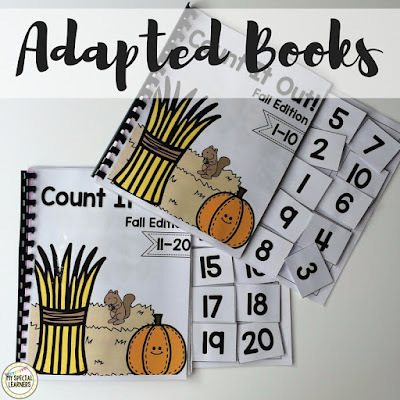 I love adapted books. These counting ones are yet another hands on, interactive, and fun way to get my kiddos counting. Then there are adapted books for positional words, shape identification, various math skills, the list goes on! Again, I love that this doesn't involve paper/pencil work and can be used for years to come. My students LOVE the beginning of the month when I switch out all the "themed" books so they can use something new and different! 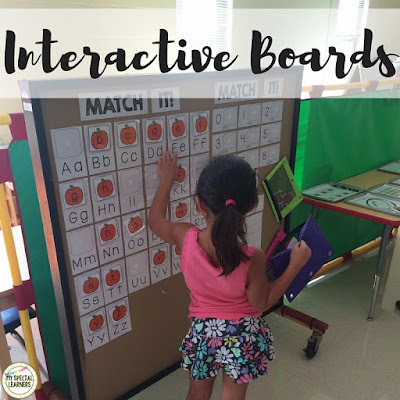 We just started using this Interactive Bulletin Board from Melissa last year and it was a big hit. Each month had 2 different themes and yet again, my students never got bored because it always looked different! They also loved doing something out of their seat and away from a desk/table for a change!! Last but not least, clothespin activities. 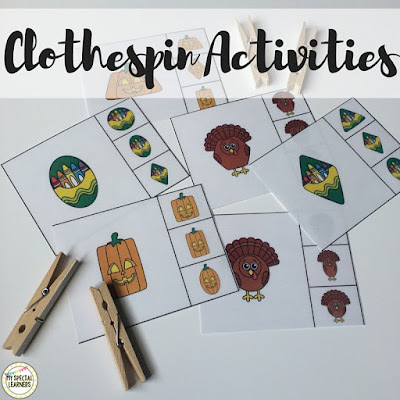 I LOVE these for the main reason that they work fine motor skills while working on another skill. Yet another way to mix it up with your students! I use them for everything from shapes, to counting, touch math, and touch money! 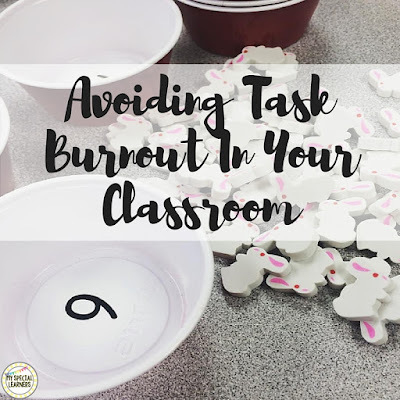 I love that this is another resource that I can teach in a 1:1 setting and once mastered, put in independent work for students to continue working on the skill! 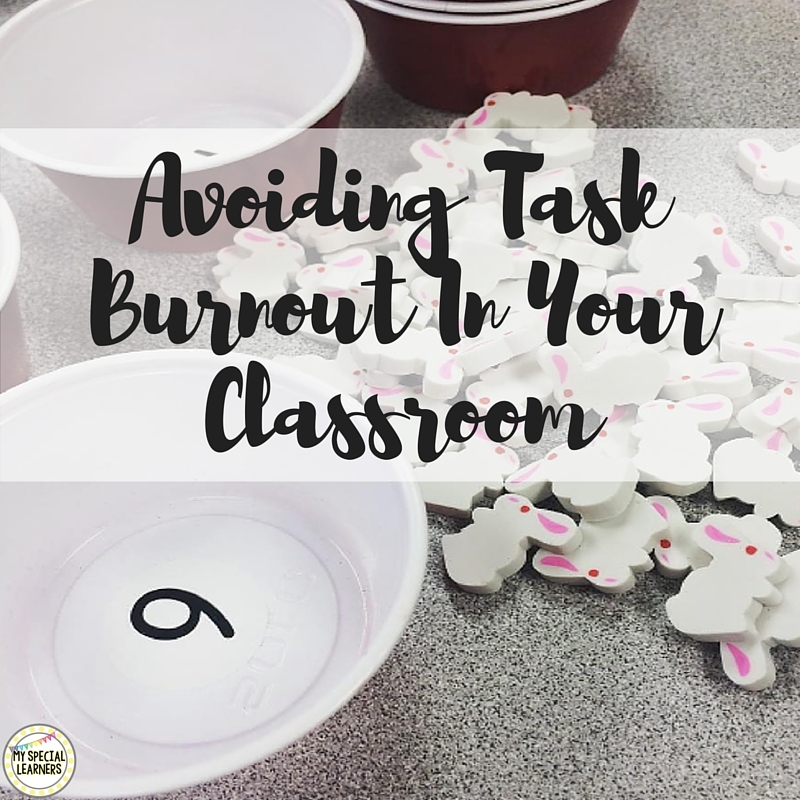 What are some other fun ways you mix it up while teaching the same skills in your classroom?! Last year, I made one of my students his own binder. I put in pages to practice various skills and had some of them in page protectors so that he could use a dry erase marker as a motivator.